InspiringHelpingAdvising gardeners for over 30 years. 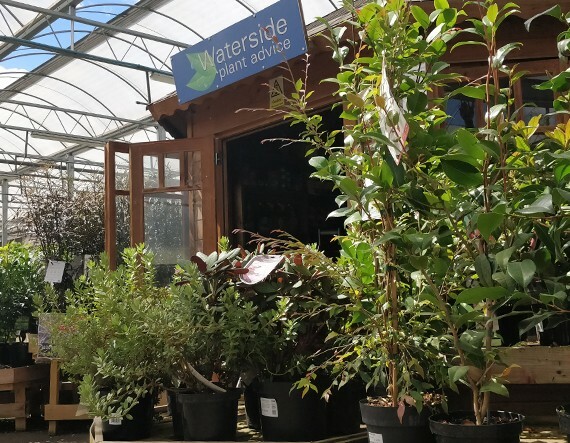 Plants are at the heart of any garden and are where Waterside Garden Centre began and so we take a great deal of pride in the collection of wonderful plants we can offer to you. Our Planteria is an all year round shopping experience as we have a fully retractable roof, allowing all weather shopping to our customers, we boast being only one of three garden centres to have this facility in the UK. Our passionate and friendly staff are always on hand to give you expert horticultural advice to help your garden thrive. They will endeavour to give you the best advice you are after and more. We stock a massive range of basket, container, and bedding plants for every season, to suit all colour themes, schemes and trend’s, we are constantly searching for new ideas and varieties, to keep up with the changing varieties and strains, so we can provide the best plants for our customers, from UK sources.